Want to know what God has for you? 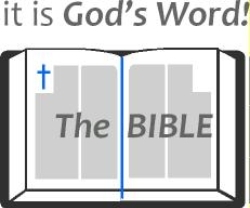 The Word of God the Father is Truth. Jesus speaks the Word of God the Father. Therefore, the Word Jesus speaks is Truth. At Eagle Rock we have the same questions about life you do. We don't have all the answers, but we know God does, and he has provided his answers in the Bible. At Eagle Rock it's our goal to teach the Bible in a clear and understandable way so that the truths of God's word can equip people to face the challenges of everyday life. God is doing wonderful work at Eagle Rock and we would like to have you join us. We're a growing family who worships together, laughs together, prays together, and even cries together. While we would love to have you visit us, this is not our primary concern. Your eternal destiny is, however! The Bible tells us "it is appointed for men to die once, but after this the judgment" (Hebrews 9:27). That's something many people avoid thinking about - not wanting to face judgment before a holy God. The Bible also says "all have sinned and fall short of the glory of God" (Romans 3:23). The "glory of God" is God's standard of perfection (His magnificence, excellence, holiness and preeminence). It's something we can't earn - "not by works of righteousness [doing good works] which we have done, but according to His mercy He saved us" (Titus 3:5a). Because of His love, God provides salvation from judgment through His Son, Jesus Christ - "for the wages of sin is death, but the gift of God is eternal life through Jesus Christ our Lord" (Romans 6:23). A gift is something received not by merit, not as a reward, but by simply receiving it. It is wonderful that God provides salvation to us not by works, religion, position or social status, but by faith in Jesus Christ - "for by grace you have been saved through faith, and that not of yourselves, it is the gift of God, not of works, lest anyone should boast" (Ephesians 2:8-9). 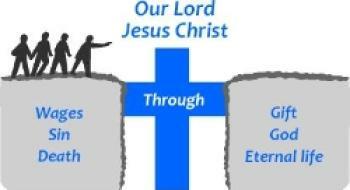 Have you ever decided to trust JESUS CHRIST as your personal Savior? Do you desire a personal realtionship with the One who created you and loves you no matter what? Heavenly Father, I acknowledge that I am a sinner in need of Your forgiveness. I belive that Jesus Christ fully paid the penalty for all my sins by dying on the cross, and that he rose from the dead to give me eternal life. Thank you for your grace to save me even though I am undeserving. Please show me how I can start living for you. I pray in Jesus' name, Amen.